With or without the presence of the leader of Indigenous People of Biafra, Mazi Nnamdi Kanu, Biafra must be restored; the fate of Biafra restoration is at the hand of me and you. Biafrans can no longer afford to remain subjugated at the hand of Buhari and his coworkers of iniquities. I believe it is due time every Biafran stood and joined in raising awareness to actualize this holy goal which we are destined to. Mazi Nnamdi Kanu once said it that, one of the most potent ways that will help us to get what we want, is by following and obeying every order that comes from Radio Biafra London, and by boycotting Nigeria's subsequent elections. The IPOB leader made it clear that if we can start by boycotting Anambra state election, then it means we can boycott the entire upcoming general elections in Nigeria. Thank God that the Anambra state election was boycotted and there is proof for it; therefore, the ball is in the court of Biafrans. 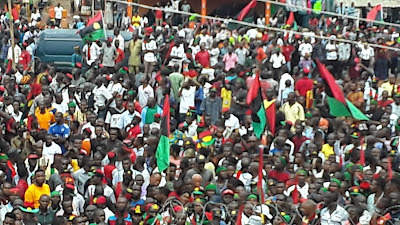 The boycott of Anambra gubernatorial elections, as well as that of Enugu Local government elections, is a good step in the right direction, which goes to show that power remains in the hands of the people, and that Biafrans are ready for their freedom. Now we have to take another giant step to boycott the entire general elections in Nigeria. Catalonians masterminded so many civil disobedience in Spain to gain the attention of the world towards their quest for freedom, of which some of the remarkable they carried out was to boycott a Spanish court order and boycotting all football matches, in order to actualise their independence referendum. This is why Biafrans must continue with resounding civil disobedience, just like was done in Anambra and Enugu states. Based on the kind of tyrant and desperate leaders we have in Nigeria, the basic success of our freedom to Biafra is to boycott the upcoming elections and to keep to civil disobedience, just as Uche Mefor, the deputy leader of IPOB always say. We have a lot of reasons to boycott the elections, we have a lot of reasons to seek for our freedom, Nigeria has nothing good to offer to us or our unborn children. Nigeria politicians will only use the poor masses to win election by given them some little token to vote for them, but at the end, they will embezzle public funds to send their children to expensive abroad universities, while the children of the poor masses have no seat to sit on in their classrooms. I will stop Fulani herdsmen from killing you and damaging your farms. With all these promises listed above, I want every discerning mind to check if any has been executed in Nigeria. Even as I am writing this article, fuel price in Nigeria is between 250 and 300 naira per liter in fuel stations, whilst at black market, it is being sold at rates ranging from 400 naira to 500 per liter. What a country! A lot of people are dying of hunger in a country that calls itself giant of Africa. Many people are suffering day by day. Boko Haram extremists are killing people everyday because they don't like Nigeria, Shiite are agitating for their freedom too because they said Nigeria has nothing to offer them. Oduduwas are agitating because they know the truth that Nigeria is a hellfire on earth. 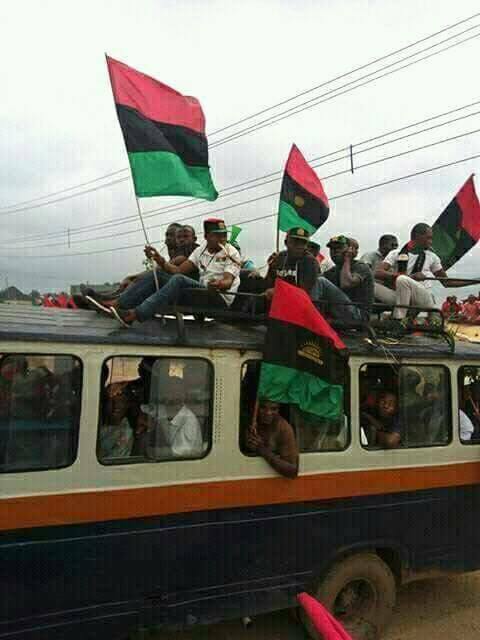 Biafrans are agitating for their freedom because they know that the amalgamation has expired, they know that Nigeria that is supposed to be practicing pure federalism is practice criminalism. Therefore, when there are uncountable agitations in the country demanding for self determination, isn't it better to conduct a referendum instead of killing and arresting people unlawfully? In the Nigeria context, there couldn't have been any other veritable easy part to referendum rather than the boycott of elections. Nnamdi Kanu has played his part, and still has a role to play; but as he is still in the hand of Nigeria army, we will not let him down, we will not be subdued by uneducated and desperate people, we must never allow all his efforts and the efforts of the people he took over from to go in vain. 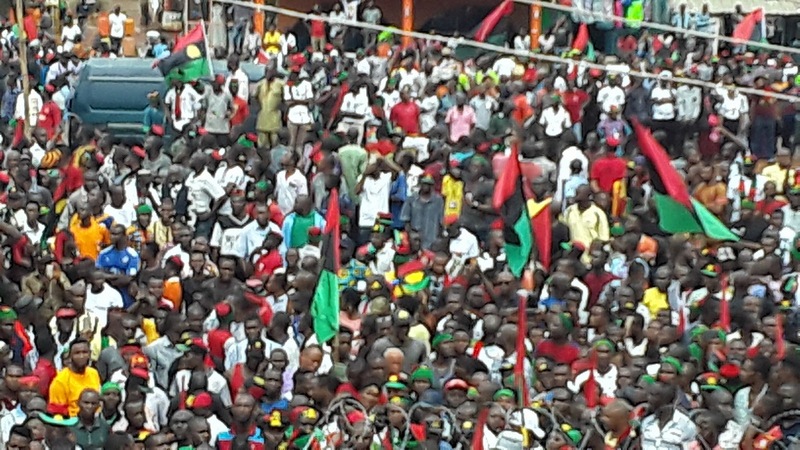 Biafrans, we have a simple but large role to play for Biafra to come, and for our referendum to be granted. That role is what is called civil disobedience. It is an order that we should continue boycotting the upcoming Nigeria elections to let the world to know that we don't want anything that has to do with Nigeria anymore. Your vote will count for Biafra referendum when you stay out of the elections. The northern states' leaders, their youths and all their Emirs have always vowed, that never in the history should a Biafran rule Nigeria. It has been, and it will remain like that if we remain in this contraption called Nigeria. This is why we must try as much as possible to boycott all elections. It is our obligations to do the right thing for ourselves by boycotting the elections in Nigeria for easy access to our freedom. This is the most potent strategy that can be used to restore Biafra without war.